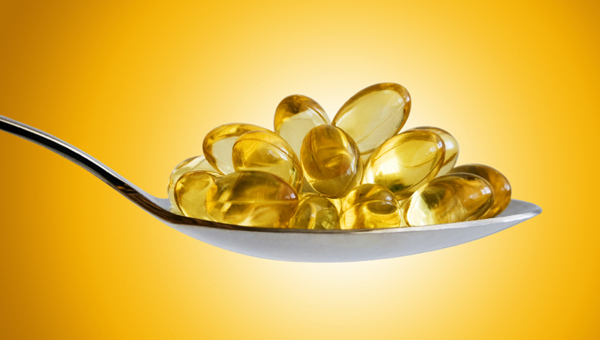 For such an amazing nutrient, vitamin D doesn’t always get the attention it deserves, perhaps because very few foods in nature contain vitamin D. The best sources are salmon, tuna and mackerel (especially the flesh) and fish liver oils. Beef liver, cheese and egg yolks also contain small amounts. If these foods don’t sound very appealing to you, there is good news: you don’t have to eat vitamin D to make sure you’re getting your daily dose! Vitamin D is actually produced in your body when ultraviolet rays from sunlight strike your skin. The UV rays trigger synthesis of vitamin D, which then gets converted in your liver into its active form. So exactly how much Vitamin D should you aim for each day? For all ages, Dr. Oz recommends a daily dose of 400 IU (and perhaps even as high as 1000 IU). So if preventing colon, prostate and breast cancers, building strong bones, fighting off colds, and slowing aging sounds like a good deal to you – look for in all in one simple package: vitamin D.